Good. Volume 2. Item may show signs of shelf wear. Pages may include limited notes and highlighting. May include supplemental or companion materials if applicable. Access codes may or may not work. Connecting readers since 1972. Customer service is our top priority. Fair. 0393912485 **PLEASE NOTE** This book has suffered **heavy water marks** in some areas that may have caused staining or wavy pages. The damage is cosmetic, however it is a useable copy. Regardless of title, CD/DVD/Access Codes or Supplemental Materials are not guaranteed. This is a U.S. Student Edition Book. This book is not a rental. Fair. 0393912485 **PLEASE NOTE** This book has suffered some water marks that may cause staining or wavy pages, however it is a good, usable copy. Regardless of title, CD/DVD/Access Codes or Supplemental Materials are not guaranteed. This is a U.S. Student Edition Book. This book is not a rental. Fair. 0393912485 Item in acceptable condition including possible liquid damage. As well, answers may be filled in. Lastly, may be missing components, e.g. missing DVDs, CDs, Access Code, etc. Very Good. Ship within 24hrs. Satisfaction 100% guaranteed. APO/FPO addresses supported. Trade paperback (US). Glued binding. 3067 p. Contains: Illustrations, black & white, Illustrations, color, Maps, Figures. 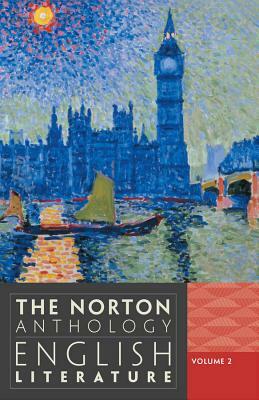 Norton Anthology of English Literature, 2.